WHOA!!! 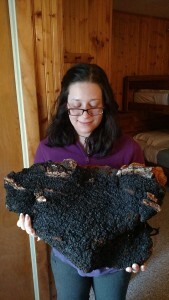 This weekend, we found the largest Chaga we have ever seen. It weighs almost 18 lbs! 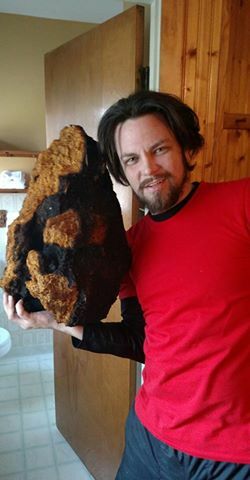 The Chaga tradition comes from Russia. 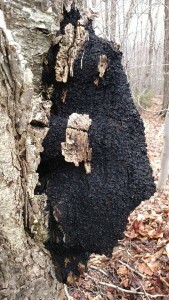 We found this one in northern New England where birch trees are more common, but we have found plenty of Chaga in Rhode Island too. It is the one “mushroom” that can be found all year round, so it’s a tradition to collect it in the snow. (We put “mushroom” in quotes because with Chaga, it is the erupting mycelium that is collected, rather than the mushroom itself). 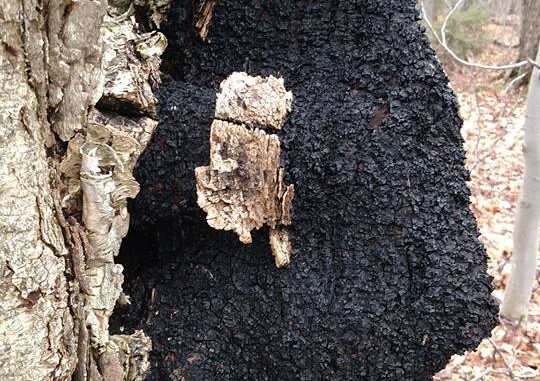 Chaga is hard…not exactly edible…but when boiled to release a delicious dark brew, it is highly drinkable! This brew (called Chaga as well) is not only a tasty coffee-like treat, it’s also an antioxidant-rich superfood. Message us to get in touch–then you can schedule a class with us, and we’ll show you how it’s done!